Greetings from Acton University 2011. The Acton Institute is an ecumenical think-tank dedicated to the study of free-market economics informed by religious faith and moral absolutes. This is my second summer attending their “Acton University” seminars in Grand Rapids, MI. Tertullian famously asked “What does Athens have to do with Jerusalem?” Meaning, what does the thought world of the Greek philosophers have to do with the Gospel? Why should Christians bother with the culture of the empire when they should be living according to their Scriptures? We could ask: What does Wall Street have to do with Jerusalem; or economic practice with the seemingly unrelated world of the New Testament? Grabill not a New Testament scholar but a theologian. He has relied heavily on Engaging Economics anthology and Tight Fists or Open Hands, both Eerdmans titles. Highly recommended. Gaps in our knowledge: first in interp of New Testament texts themselves and second in study of how those texts received in early Christian community. Transformation of value in kingdom of god, which affected economic relations in the early church. Some interesting economic questions that arise from the Good Samaritan story. Left money for innkeeper for care of injured Jewish traveler. How long would that have covered the cost of caring for that man? Valid question. Was it enough to make the innkeeper look after the man with special care? How much buying power did 2 denarii have? Substantial sacrifice or loose change? Another instance; Luke 6:20: Blessed are you who are poor. How to take that? Peasant context of Galilee? Or Greco-Roman urban context of Luke? Or hybrid? Too easy for modern economists to do a fact/value split, seeing economics as unengaged in the rest of life (e.g. religion, ethics). Isolating economics from religion in search of objective, standalone analysis. As Michael Polanyi writes in Trade and Market in Early Empires, all ancient economies were embedded economies. Financial decisions seldom made for simply financial decisions alone. The understanding of economics thus differs a great deal between ancient and modern analysts, especially re: choice, scarcity, incentives. David Cowan, Economic Parables: The Monetary Teachings of Jesus Christ (Paternoster, 2006). Must listen carefully to what understanding of economics the text is working with; and what the text is really trying to say (vs. “party line” thinking: Acts 2 and 4 teaches Christian socialism, or parable of talents teaches laissez-faire economics. (No! says Grabill). Realize aim of interp is to use the text as a source for gathering economic evidence. E.g. in the People’s History of Christianity project. Not to interpret texts, but to recover the history of ordinary people from source documents in that time, evidence of whose lives you can glean from the text. Economic evidence drawn from archeology, extra-biblical and comparative texts, etc. used as a source in hermeneutics. Most complex, organic option. He’ll use this one. So, how did early Christian movement transform values in the economy of the kingdom of God, which restructured economic (expectations) in society. Now using Stephen Barton from Engaging Economics. Acknowledges his debt to large literature. Key reference points in 10 commandments as reference points for Jesus’ Sermon on the Mount. Most important scholar on this: Patrick Miller. Moral space opened by 10 comms a trajectory with wisdom on property and possessions. The stipulations governing life with God and neighbor are delineated more re wealth and property than any other issue. A critical area where 10 comms are radicalized and internalized. Shows just how critical economic goods signs practices are for creating and sustaining life-giving culture, blessed by God, of Israel . . .
Second table of law: what threatens the fabric of personal, communal flourishing? Murder unjust taking of neighbors life. Changes productivity, viability of household, which was a social institution aiming to preserve the positive commandments of honoring father and mother. Adultery, taking of neighbor’s sexual property, also deeply impacts family. Stealing: taking of persons to sell into slavery or a neighbor’s material property. Destroys the other’s (neighbor’s) economic viability. Bearing false witness—often to gain material advantage: destroys material/social capital and reputation of neighbor. Coveting: misdirected desire to augment one’s own life and wealth vs neighbor’s, also undermines trust which is basic to social order. This item discussed at greatest length! Orientation of heart toward possessing what is not one’s own, and which contributes then to every other false taking: murder, adultery, stealing, and bearing false witness. Overall the Torah’s delineation of life with God and neighbor takes many overlapping and intersecting forms. Mutually reinforcing relationship between xology and new way of ordering community life. New eschatological economy (way of doing everything), so to his people a new people governed by new principles. iii. New economy: serving god, not mammon. V. 24: “Mammon” not quite money, but indeed suggesting the name of an idol: attachment to material things threaten one’s spiritual vitality, so warrants “beware! Idolatry!” warning. Col 3:5: “Put to death what belongs to your earthly nature” including “greed, which is idolatry.” Wow. i. Curbing anxiety re: basic needs. ii. Jesus develops rhetorically powerful argument to show God’s providential care for all of creation. Stark contrast: Pharisees: pride, greed. God’s people: new way of using stuff. New kind of people. A new ethic, leading to life. Pharisees’ way leading to death. See 7:13-14 in Matt. He uses the broad/narrow gates analogy re the two peoples. Church/synagogue split in AD 70. True covenant fidelity belongs with those who with poverty of spirit (beatitudes) follow Jesus and deploy their wealth in accord with Christ’s greater righteousness. Early Christianity provides a sort of retelling of what counts in life and how to attain it. The dominant cultural notions of what really counts in life get redefined. What it means for 1st and 21st-c economic relations: Jesus’ movement in people will recognize both continuities and discontinuities in life with other economies and scales of value and exchange. The household codes were xnized. Almsgiving, charitable practices . . . Which one are we working out of: the one that works out of life or out of death. 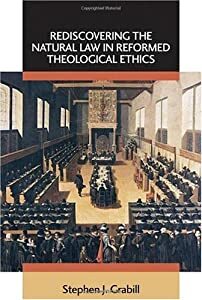 This entry was posted in Resources for Radical Living and tagged Acton Institute, economics, New Testament, Stephen Grabill. Bookmark the permalink.